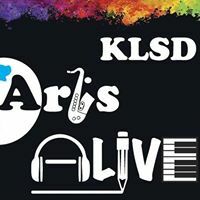 Wall of the Arts – KLSD Arts Alive! Initiated in 2002, The Wall of the Arts serves as an ongoing fundraiser for ArtsALIVE! It is a permanent installation of engraved, brass name plaques which honors students, educators, mentors, group ensembles and loved ones. The Wall gives the community the opportunity to recognize and celebrate the accomplishments of individuals and also provides a means of commemorating and thanking an individual for his or her contributions to the JJ community or the community at large. The Wall offers benefactors the ability to celebrate the artists, musicians, writers, performers, and devoted community members who make this district unique.The Wall of the Arts is located in the theatre foyer. The purchase of a name plaque helps to ensure that the tradition of the arts will continue for those who follow. 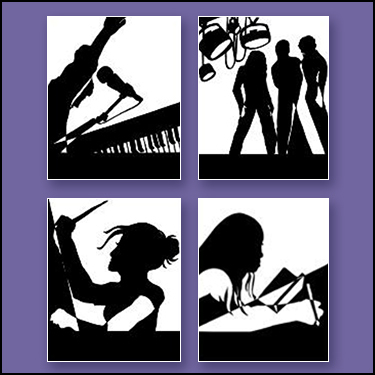 The motifs, designed by Lauren Richel class of 2002, represent writing, music, visual arts and the performing arts. They are framed and mounted in the foyer outside the JJHS theatre and are the centerpiece of “The Wall of the Arts.” Bronze engraved nameplates are available for purchase for $130.00. As a gift they make a lasting memory – as well as a valuable contribution to the longevity of the arts at our school. Click HERE to download the order form. Please mail in the form along with your check made out to ArtsALIVE!, or you could mail in the form and use our Donate button below to pay by paypal or credit card. Emailing a scanned and completed form to us while paying using paypal is also an option. If you have any questions, email klartsalive@gmail.com for more information.